Enjoy a trip to the heart of Egypt, and take the Nile River Cruise between Luxor and Aswan or Lake Nasser Cruise. It is the best way to see the incredible ruins of Ancient Egypt and modern life along the banks of the Nile, which has brought life to Egypt for millennia. By Sailing onboard Egypt Nile Cruises between Luxor and Aswan, you will have the chance to visit fascinating attractions in the Ancient Upper Egypt such as Luxor Temple (The World’s Largest Outdoor Museum), Karnak Temple (The heart of Egypt during the New Kingdom), Hatshepsut Temple (Hatshepsut is distinguished in history for being one of the most successful pharaohs of Ancient Egypt), Philae Temple (Philae rose to prominence during the Ptolemaic Dynasty as the center of the cult of the goddess Isis) and more! Furthermore, you can experience a relaxing journey to the south on a Lake Nasser Cruise to see the monuments and ruins of Ancient Nubia. You will spend an evening docked next to the temples at Abu Simbel (these huge rock-cut temples marked the southern boundary of the Egyptian Empire with Nubia at the peak of its power during the New Kingdom). Choose your Nile Cruises trip 2019 now! A trip down the River Nile is one of the best ways to see Egypt and the relics of its ancient past. 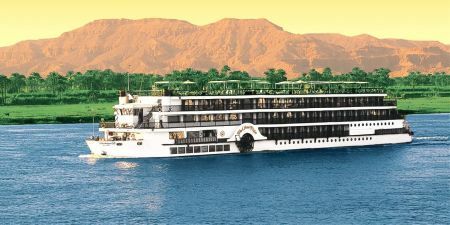 A cruise down the Nile on a Dahabiya Nile Cruise is the most luxurious way to experience the river. 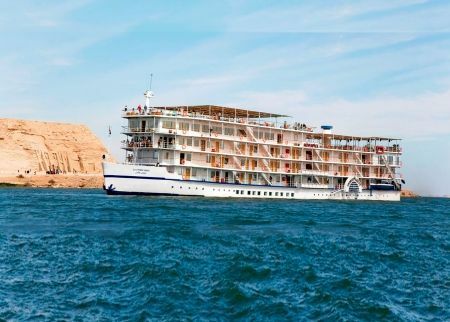 Take a trip back in time with a cruise down the Nile on a historic steamship between Aswan and Luxor. Have an incredible Long Nile Cruise experience in Egypt between Cairo, Aswan and Luxor.